Malabon City will be celebrating its 414th foundation anniversary next Tuesday, May 21. The day is a special non-working holiday in the city by virtue of Proclamation 576, which President Benigno Aquino III signed last May 10. Read the full text of Proclamation 576 here. Previously known as Tambobong, the territory we now call Malabon came under the administration of Augustinian Friars as its visita or parish together with the town of Navotas. 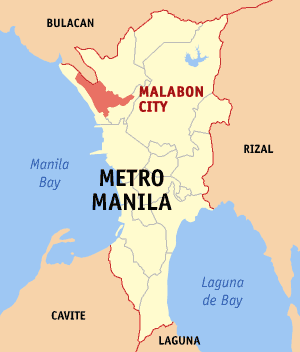 Following the Philippine Revolution that lasted from 1896 to 1898, Malabon became a municipality of the Rizal Province through Philippine Commission Act No. 137 (1900). It was reunited with the town of Navotas through Philippine Commission Act No. 942. By January 6, 1906, Malabon and Navotas were re-established as two distinct towns, which remains to this day. *At this point, I’d like to share with you some incredible milestones The Filipino Scribe has achieved recently. This post is the 400th entry to this blog, which I started last March 31, 2011. Early this month, this page has already reached the 1.5 million views mark.